To be fair, the F keys are more streamline than other hot keys. And in a game like RuneScape where almost everything is done via interfaces (regardless of what Jagex is trying to do, the emphasis on interfaces is there), it's best to have them all on a convenient bar, similar to the action bar. It's partially change, and partially convenience. Where is Ken? I haven't seen him online much. 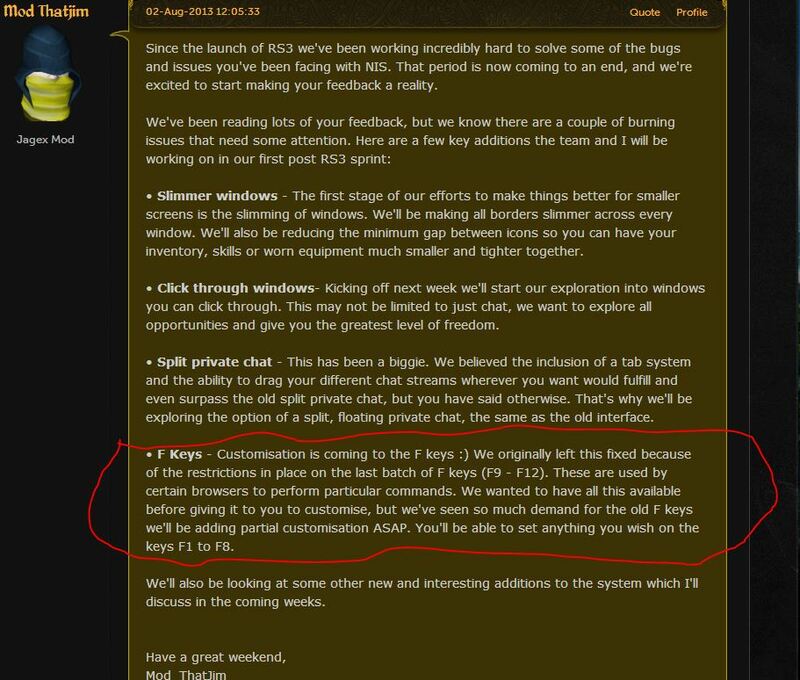 AMFG WHY DID YOU HAVE TO RUIN IT JAGEX! FK RS I QUIT!